No matter what business you're in, cutting costs and maximizing your budget is essential to your bottom line and viability. This has never been truer then now when the cost of doing business keeps rising. Direct mail is making the resurgence as one of the most viable and budget-friendly marketing platforms. Adding automation tools will enable effective, targeted outreach, and it's more affordable than you think. For an automation tool to be effective, you have to limit the number of moving parts. The best systems offer everything you need to create and implement a marketing campaign while providing the resources necessary to track its effectiveness. You also need to be able to customize it to fit your industry and marketing goals. On top of all this, the medium must be engaging enough to grab your lead's attention and increase response rates. If the goal is to get the most return for your investment, Postlead is the solution. The old way of direct mail marketing was to build or buy a mailing list, hire a designer to create promotional materials, then haul it all down to the post office and pay a bulk rate to mail them out. Then you waited. There was no way to track if your flyers or postcards made it into the right hands, or to determine how effective your message was if they did. Automation streamlined the process somewhat, but there were still a few things missing. 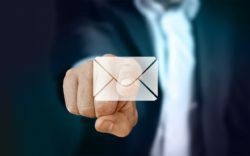 Most platforms allow scheduling, reporting, and analysis, but not in real time; they were also mainly geared toward email marketing. This meant performing a lot of tasks manually and waiting for results. It certainly made things move a little faster than the traditional way, but we knew it could be better, faster, and cheaper. With us, you'll have everything you need in one plan, at one price. There are no contracts or monthly obligations, and you can work on your schedule. When you're ready to put our platform to work for you, contact Postlead and choose your level of support.